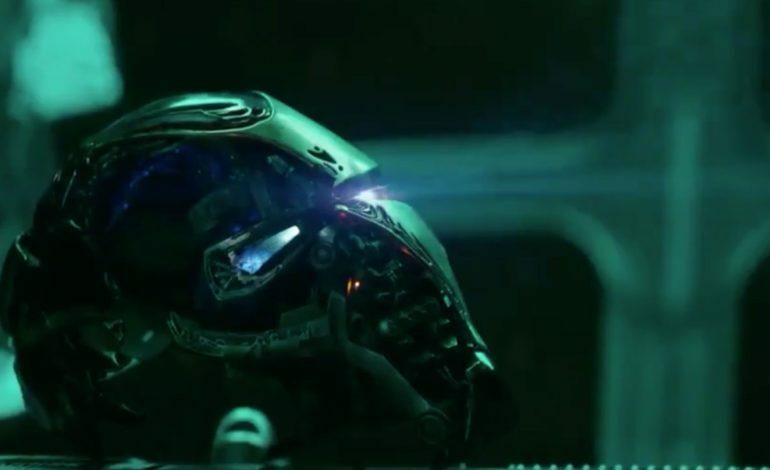 The first look at Avengers: Endgame has arrived, and with it a 2-minute-long teaser trailer that sets the tone for the film without giving away too many big moments or surprises. In that regard it’s the perfect teaser for the aftermath of Infinity War, as it depicts our heroes in their moments of grief and amounts to a couple minutes of conversations that set up the fight to come. The Russo brothers have constructed a trailer that’s heavy on heartache and despair, and yet hopeful in the end. The first moments of the trailer feature Tony Stark (Robert Downey Jr.) drifting alone in a spaceship as he records a message on his damaged Iron Man helmet. The message is for Pepper Potts (Gwyneth Paltrow), and though the message sounds hopeless, it likely sets up the rumored inclusion of Potts appearing in her Rescue suit of Iron Man armor. Cue the Marvel logo, which fades to dust in the same manner as 50% of the lifeforms in the universe in the closing moments of Infinity War. The next shot features a solitary suit of samurai armor silhouetted against mountainous terrain, foreshadowing the reveal of Clint Barton (Hawkeye, played by Jeremy Renner) as Ronin. The Ronin armor signifies his zero-shits-given transformation into a sword-wielding samurai badass, heavily implying that Thanos’ actions affected his family life, effectively ending his retirement and bringing him back into the fray once again. This leads into a shot of bad-guy Thanos as his hand grazes flowers while he walks through a sun-drenched field, followed by Black Widow (Scarlett Johansson) at Avengers HQ as she provides back-story on their defeat while Captain America (Chris Evans) sheds a tear. The trailer then cuts to Bruce Banner (Mark Ruffalo), who also appears to be at Avengers HQ (or possibly a lab in Wakanda), as he scrolls through a list of missing persons, including Scott Lang (Ant-Man, played by Paul Rudd) and Shuri (Letitia Wright). We see a sullen-looking Thor (Chris Hemsworth), a quick shot of Nebula (Karen Gillan), a very cool scene that appears to be Black Widow discovering a pissed, Ronin-clad Hawkeye in Japan, all accompanied by a Captain America voice-over that describes the upcoming battle as the fight of their lives. The plan better work, because if it doesn’t he doesn’t know what he’ll do. Now we get to the most underrated shot in the trailer, which shows an image of the shattered Avengers logo slowly piecing itself back together, along with the title reveal. The logo re-assembling itself is significant, as it implies that the damage done at the end of Infinity War can be reversed. Those who turned to ash and faded away can come back, assuming whatever plan the Avengers have concocted in Endgame works. We can assume the Quantum Realm comes into play here, as timey-wimey sorcery could lead to Thanos’ snap (a.k.a. The Decimation) never happening. Speaking of the Quantum Realm, the trailer ends on a funny, as Scott Land shows up on the Avengers’ doorstep and humorously announces that he’s Ant-Man (in case you forgot), and he’d like to be buzzed in. Avengers: Endgame arrives in theaters on April 26, 2019. The first trailer is posted below for your viewing pleasure.